Cooby Dam Sailing for the whole family! See a full list of upcoming sailing days in our Downloads Section. Only 20 minutes from Toowoomba and only 5 minutes from Highfields! See full directions in our Downloads Section. The Club has two Lasers, two Open Bics, a Wind Rush, and a Corsair for use by members. Members sail a variety of other boats including cats and monohulls. We cater for all levels and really just want people to come out and enjoy sailing. The Club owns two rescue boats both powered by brand new Yamaha motors. Safety is everything! 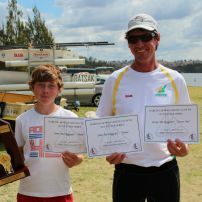 commented on "The DDSC held its annual AGM on Sunday 27 August 2017 at Cooby Dam in between the 2 races for the Brian Gale Trophy. Congratulations to ..."
commented on "Don't forget to check us out on Facebook too. ..."
commented on "Annual General Meeting was held on Sunday 27 July 2014. Financial report for 2013-2014 was approved. 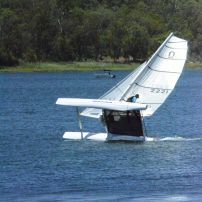 ..."
Looking for regular updates on sailing days etc ... Please sign up!